Publicly-traded companies all have a given number of outstanding sharesWeighted Average Shares OutstandingWeighted average shares outstanding refers to the number of shares of a company calculated after adjusting for changes in the share capital over a reporting period. The number of weighted average shares outstanding is used in calculating metrics such as Earnings per Share (EPS) on a company's financial statements of stock in their company that have been purchased by and issued to investors. A stock split is a decision by the company to increase the number of outstanding shares by a specificied multiple. When a company decides to split its stock, it determines the ratio for the split. There are a variety of combination ratios open to the company. However, the most common are 2-for-1, 3-for-1, and 3-for-2 splits. Company A has decided to split their stock and has settled on the most common split ratio: 2-for-1. In this example, shareholders who’ve already purchased and been issued shares of Company A’s stock would be given another share for every stock they already own. In such a scenario, let’s assume that Company A has 30 million outstanding shares. After the 2-for-1 stock split, they’ll have 60 million. However, this also means that the value of each share decreases by 50%. Stock splits, as our example shows, increase Company A’s total number of shares outstanding, but make two shares the same value as one share would have been before the split. Company A’s market capitalizationMarket CapitalizationMarket Capitalization (Market Cap) is the most recent market value of a company’s outstanding shares. Market Cap is equal to the current share price multiplied by the number of shares outstanding. The investing community often uses the market capitalization value to rank companies isn’t affected by this because the total market value of all outstanding shares hasn’t changed. Why would a company want to double or triple their outstanding stock shares if their market capitalization won’t be affected? There are a number of reasons for stock splits. However, there are two that are most common. The first has to do with perceived company liquidity. With each share’s price dropping a certain percentage – depending on the ratio that the company decides to use – investors tend to see the company’s stock as more affordable, and therefore may be more likely to buy shares. The lower the share price, the less risky the stock seems. 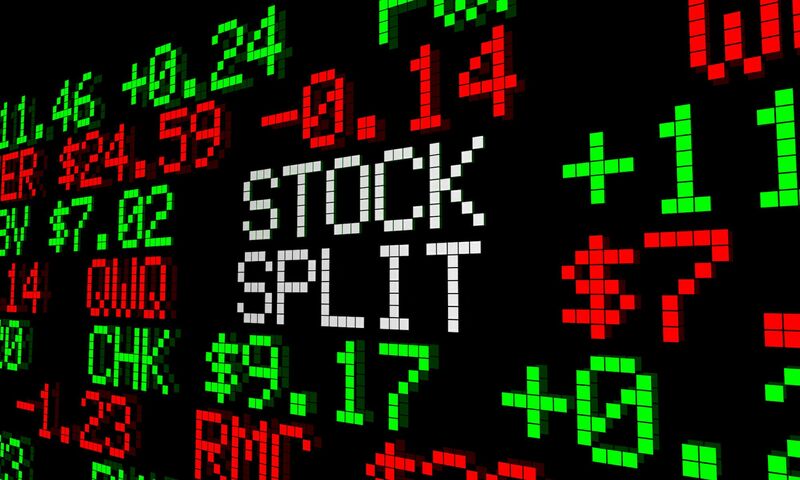 A stock split makes the stock more affordable for more investors and thus can be used to draw in new investors who may have been reluctant or simply unable to purchase the stock at its higher, pre-split price. The move is a useful strategy when a company’s stock price rises to a level that prices many investors out, or when the price has risen significantly higher than its competitors’ stock. Stock splits can be a lucrative and important step for companies looking to draw in more investors. This is particularly true for companies that are experiencing rapid growth. A company that is growing or believes it will grow may choose to split their stock, giving a positive indication of growth to investors, which ultimately helps it grow. Common StockCommon StockCommon stock is a type of security that represents ownership of equity in a company. There are other terms – such as common share, ordinary share, or voting share – that are equivalent to common stock.